Hilton Head and Bluffton Chiropractor Discover Specific develops programs specially designed to treat your needs. From sports to daily life, our treatments will help improve performance, heal injuries and reduce the potential for future impairment. Serving Hilton Head and Bluffton for more than 20 years. Our programs are developed relieve back, neck and joint pain and to establish and promote healthy lifestyles by combinations of regular, non-forceful adjustments and exercise to develop the correct body balance. Whether the need is athletic, injury based, age-specific or health and wellness oriented, Hilton Head and Bluffton Chiropractor Specific designs programs of treatment that are custom tailored to your specific needs. The advantage of our methods is that they actually reduce the amount of trauma to the patient. Our procedures virtually eliminate the problems usually associated with patient care. Committed to providing a combination of compassionate and personalized care. 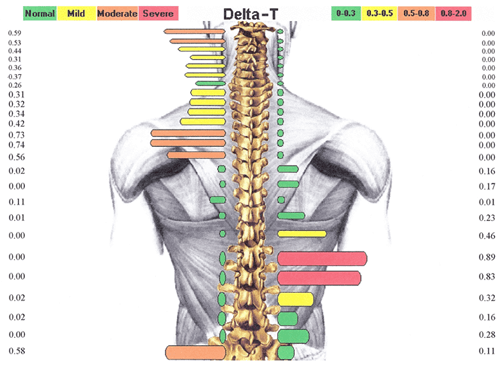 Discover Specific Chiropractic is the only treatment center in Hilton Head and Bluffton using the Tytron Computer infrared scanner. VibraCussor delivers waves of percussive impulses deep into body tissues. The repetitive pumping action is ideal for releasing fascial restrictions, treating trigger points, relaxing muscles, and releasing joints. Instead of the traditional thrust by hand, this handheld instrument introduces the precise energy needed for optimum correction. Patients appreciate that we can avoid the twisting, turning or cracking of joints.